The Discovery Drive will take you on a journey packed to the brim with outback legends, ancient discoveries, and bucket-list adventures. The drive links the Overlander’s Way and Australia’s Dinosaur Trail with the fascinating Channel Country. 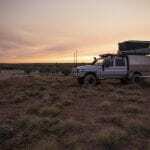 Expect to witness vast everchanging landscapes; meet eccentric outback characters; see amazing prehistoric discoveries; and connect with Australia’s pioneering communities. Basking in the protective presence of Castle Hill, Townsville is a vibrant coastal city blending federation architecture and sophisticated restaurants, accommodation and shopping. Stroll along The Strand, Townsville’s thriving beach foreshore. Enjoy a casual barbecue or dine in one of the beachfront restaurants taking in spectacular views across to Magnetic Island. Point your car west along the Flinders Highway, on the Overlander’s Way towards Hughenden. You’ll have the opportunity to explore Charters Towers on your return journey, so keep driving west and make a stop in the small township of Pentland. The historical Railway Station, built during the gold discovery heydays, and the local Art Gallery are both worth a look. Further along the highway is the beautiful Burra Range Lookout with views over White Mountains National Park. 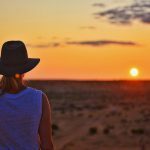 Pass through the tiny settlements of Torrens Creek and Prairie, (the Prairie Hotel is a fantastic old pub filled with antiques and memorabilia from a bygone era), then drive 45 kilometres to Hughenden. 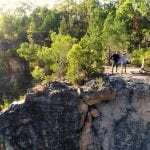 Late afternoon, stock up on some tasty nibbles and drinks from one of Hughenden’s cafes or shops and take a short 10 kilometre drive to Mount Walker with six lookouts offering spectacular 360-degree views of the surrounding landscape. This morning is yours to explore the Hughenden township. Make your first stop the Flinders Discovery Centre, home of ‘Hughie’ the life-size replica of a seven metre high Muttaburrasaurus. While at the Centre, watch their interesting sound and light show telling the story of the formation of Porcupine Gorge some 500 million years ago. Stroll down to the historic Coolabah Tree, linked to two separate expeditions where teams, searching for the ill-fated Burke and Wills, stopped to rest. Both expeditions blazed the tree. A great way to gain an understanding of the Shire’s diverse bioregions is to follow the 1.5 kilometre Eco Walk on Flinders. Spot local outdoor art pieces and admire the flora and fauna interpretive panels along the walk. Give yourself time for some rest and relaxation when you arrive in Richmond. Find your perfect spot beside the popular Lake Fred Tritton close by to walking track and barbecue facilities. The kids will love the shaded playground, water park and the hole in one golf course! The lake is stocked with 18 species of fish so don’t forget your fishing rod! You may be surprised to learn that Richmond was once the heart of a vast inland sea, filled with prehistoric marine life. You can see scores of marine fossils from 100 million years ago at the ‘must see’ Kronosaurus Korner or try finding your own fossil at one of Richmond’s free fossil hunting sites. Spanning the full length of Goldring Street, the walk includes sites of the Cordial Factory, Newspaper Printers and Open Air Theatre. A recent addition to the walk is the Cambridge Downs Heritage Display Centre, a replica of the original 1860’s homestead – there’s a good story to tell there! Choose from a good selection of lunch options in town before hitting the road west to Julia Creek, home to the endangered Julia Creek Dunnart. Make sure you arrive in time to see the feeding of cheeky resident dunnarts, Donald and Duncan at 3pm in the Julia Creek Information Centre ‘At the Creek’. A new addition to the centre is ‘Beneath the Creek’ which explores the underground features that have shaped the regions past through an interactive floor, touch screens and big screen films which provide a detailed insight into life in the McKinlay Shire. The only connection that the Julia Creek Opera House has with its more famous Sydney cousin is that they share the same birthday – the quirky Outback humour at play there! While you’re unlikely to see performances of Carmen, Madam Butterfly or The Barber of Seville, you will find historical pictures, collected over the last 100 years, telling the stories of Julia Creek’s pioneers and heroes. Take a stroll along the nature trail at the back of the Julia Creek Caravan Park to see local birdlife and the tranquility of this natural space. Back on the road again, it’s just over an hour along the Overlander’s Way to Cloncurry. Stretch your legs in the shaded parklands of Cloncurry Unearthed Visitor Information Centre where you’ll find one of Australia’s most comprehensive gem and mineral collections. 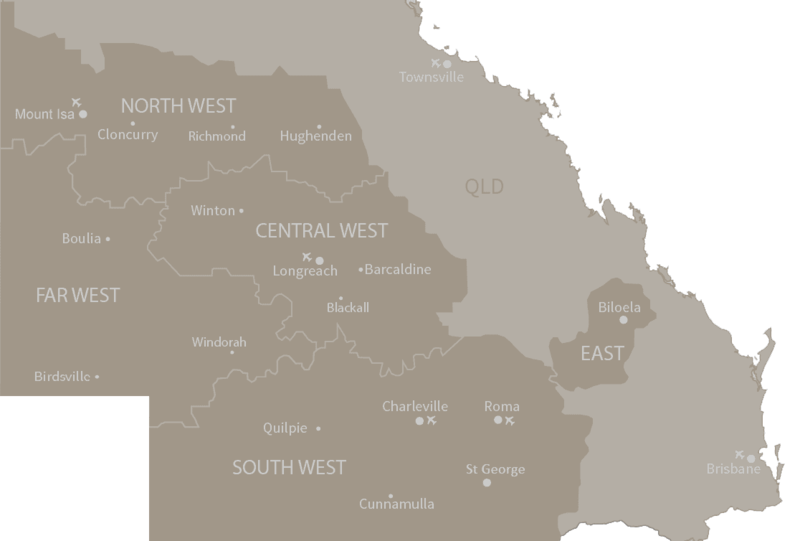 Burke and Wills passed through this region in 1861 and the town name has its origins from Burke’s cousin, Lady Elizabeth Cloncurry. Burke also left behind his water bottle, which is on display at Cloncurry Unearthed. Cloncurry was the site selected by Rev John Flynn when he established the Royal Flying Doctor Service. Make sure you call into the John Flynn Place Museum to learn the Flynn legacy and to appreciate the incredibly harsh operating environment for this life-saving Outback service. On your way out of Cloncurry this morning, take a short drive (three kilometres) to Chinaman Creek Dam. Just off the Barkly Highway on your way to Mount Isa is Clem Walton Park and Corella Dam also popular for fishing and birdwatching. You’re nearing the ‘big smoke’ of the outback now, so keep your eyes on the horizon for the distinctive chimney stacks rising out of the ochre-coloured Selwyn Ranges as you head towards Mount Isa. Dubbed ‘the oasis of the outback’ Mount Isa is a vibrant city with plenty of good accommodation, restaurants and a huge selection of shops. Mining is a big part of the Isa community, but the locals love their fishing, watersports and outdoor lifestyle. Just 16 kilometres out of town is Lake Moondarra that locals and visitors make good use of with free barbecues, picnic areas, walking paths and water sport facilities. Lake Moondarra Lookout offers stunning views. Make sure you visit Outback at Isa, the hero attraction in town. This multi-complex facility includes the Isa Experience museum and the interactive Hard Times Mine where you can join a guided underground mine tour, fully kitted out in overalls and cap lamps; you can even try your hand at the air leg drill. Also in the facility is the Riversleigh Fossil Centre home to some early mammal megafauna fossils dating back an impressive 30 million years ago! The historic Underground Hospital was built in WWII when it was believed that Mount Isa was under potential threat of bombing given the strategic resource appeal of the Mount Isa Copper Mine. Thankfully, bombing didn’t eventuate, but a walk through this fully restored underground hospital is fascinating. Also, the onsite Beth Anderson Museum displays some rather interesting old medical equipment and memorabilia. Leaving Mount Isa today, you’ll pass through scenic jump up country, flat Mitchell grass grazing land and spinifex plains towards the braided Channel Country, one of the most distinctive landscapes in Australia. The highway through to Boulia is single lane bitumen, suitable for normal two wheel drive vehicles, but remember to give way to larger vehicles. Make a stop in Dajarra, a remote, laid back town, once the largest cattle trucking depot in the world. The town also has a rich Aboriginal heritage and is home to Aboriginal tribes from around the Diamantina River, the Gulf and the Northern Territory. Drive around one and a half hours further to Boulia, heart of the Channel Country and among the finest beef producing country in Australia. Aside from its thriving beef industry, Boulia is known for a mysterious hovering light – the Min Min Light. First spotted above the Min Min Hotel ruins in 1918, there have been countless sightings over the last 100 years. According to folklore, these lights sometimes follow or approach people, then rapidly disappear. The Min Min Encounter attraction incorporates a mix of theatrics, animatronics and high tech wizardry to present a series of local sighting stories – it’s great fun. Also in town is the Stonehouse Museum, one of the first houses built in Western Queensland, and home to an impressive Marine Reptile Fossil exhibit, one of the best in Australia. Just a short drive out of town is the Barracks Waterhole, site of the Police Barracks (1874 to 1884). The waterhole is a lovely tranquil spot for a picnic, fishing or bird watching. 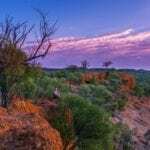 The drive between Boulia and Winton will take you through some truly spectacular country and be sure to make a stop at Cawnpore Lookout with its expansive 360 degree views over the Lilleyvale Hills. Make a stop in Middleton, population two, to share a yarn and refreshment at one of the most isolated pubs in Queensland, the Middleton Hotel. Middleton was built during the Cobb & Co era and was a changing station for tired horses on the route between Winton and Boulia. Early afternoon, arrive in Winton, a small outback town that punches well above its weight. It is the birthplace of Qantas and Australia’s unofficial national anthem, Waltzing Matilda. Winton is also home to the boulder matrix, a rare form of opal and more recently its world-class dinosaur attractions. Why not make a side trip to the Dinosaur Stampede at Lark Quarry? Stroll along Winton’s wide main street and call in to the town’s first general store, Corfield and Fitzmaurice, opened in 1878. There’s a good selection of homemade crafts as well as a mini museum featuring a Dinosaur Diorama. Visit the Waltzing Matilda Centre, the only museum dedicated to a song. Also on the main street is the Opal Walk with its fascinating opal displays and stories of pioneering miners. See the quirky Arnos Wall, play a tune on the Musical Fence and discover fully restored heritage trucks at the Truck and Machinery Museum. Visit the impressive Australian Age of Dinosaurs Museum, located on top of a large mesa named The Jump-Up just 24 kilometres out of town. Join a morning tour of the laboratory, collection room and the new Dinosaur Canyon. Depart Winton and follow the Kennedy Development Road north on your homeward stretch. About an hour into the drive, make a stop at Corfield, a small town with a pub, camping ground and a post office. Corfield was founded when the now ceased railway line from Winton to Hughenden was built in the late 1800s, linking Winton with Townsville. The town, population of 10, swells to more than 1000 once a year (around August) when the popular Corfield Races are held (yes, it’s a pun on the better known Caulfield Races!). The popular horse race is an annual event when punters from near and far come to experience the real Corfield races! Continue your drive back through to the township Prairie in the Flinders Shire. In the 1870’s Prairie was a main horse change centre for Cobb & Co Coaches. Call in to the Prairie Hotel for lunch and take a look at their impressive collection of stockman’s hats and other historical memorabilia. You might also learn the story of their resident ghost, said to be a wandering ringer from the 1930s. From Prairie it is just another 200 kilometres before your reach Charters Towers. Call in to the Charters Towers Visitor Information Centre and pick up some information on the Ghosts of Gold Heritage Trail. Hear stories from the ghosts of gold rush days at historic venues included in the trail – Stock Exchange Arcade, Towers Hill Lookout and The Venus Gold Battery. Back in 1871, a young Aboriginal stopped to take a drink from a sandy river bed when he noticed something sparkling from the shallows. Gold! The first goldfield known as Charters Towers was established the following year and the rest is history. Around 10 kilometre from town, Leahton Park is a massive 1100-acre property, home to the legendary Texas Longhorns! Take a horse drawn wagon ride, enjoy a camp oven billy tea and damper and visit the saddle shop. When the mood strikes you, head back east along the Flinders Highway to Townsville. With its cosmopolitan coastal lifestyle, Townsville is the perfect base to explore the wonders of the reef, including nearby Magnetic Island. Consider spending a few days here at the end of your drive.